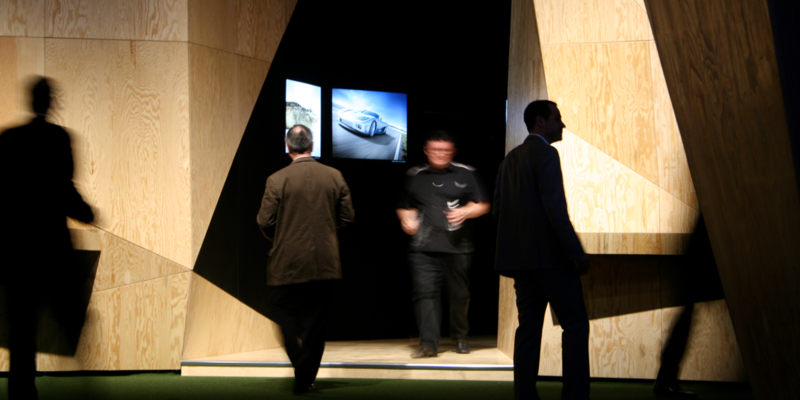 Event campaigns often drive towards a unique experience at a trade show. 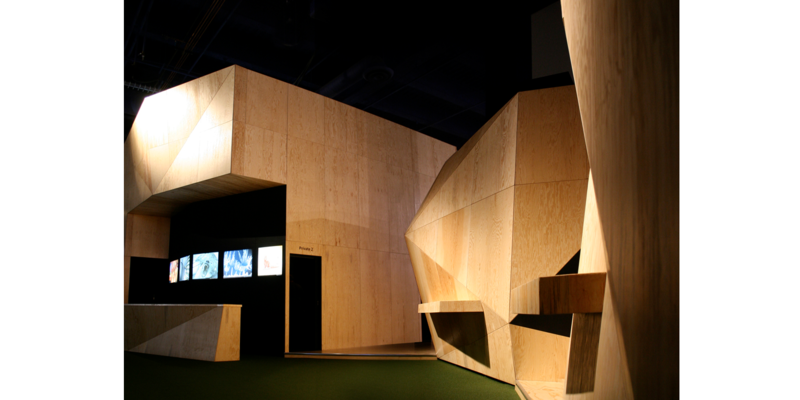 With the Autodesk Media and Entertainment group, we worked to create a stunning tradeshow booth constructed of untreated plywood. 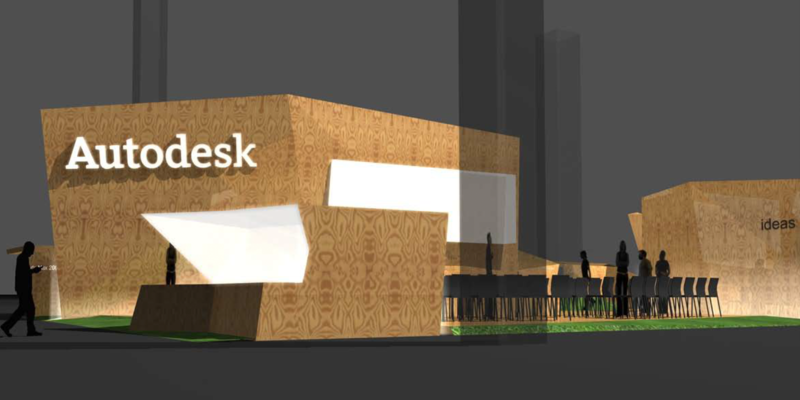 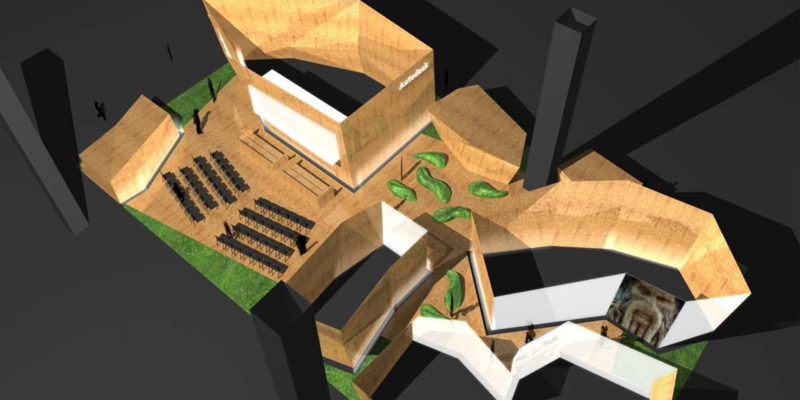 This simple idea allowed the group to showcase its work and stand out from the crowd, while also highlighting the company's connection to building design, one Autodesk’s core markets. 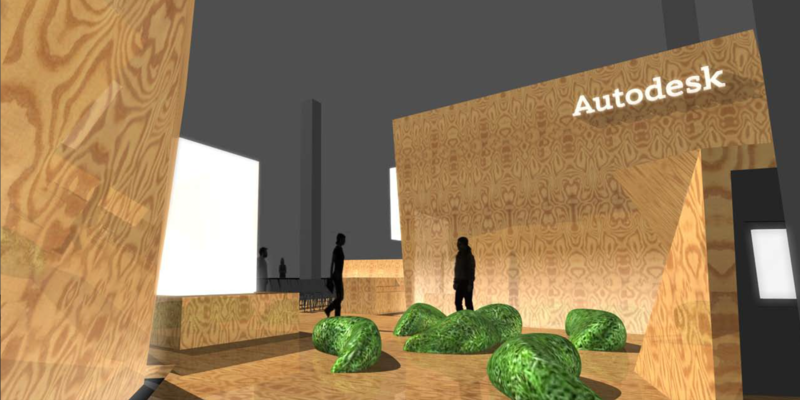 As creative director at Autodesk, I led a team of designers, art directors, and project managers charged with developing all aspects of the company's event experience. 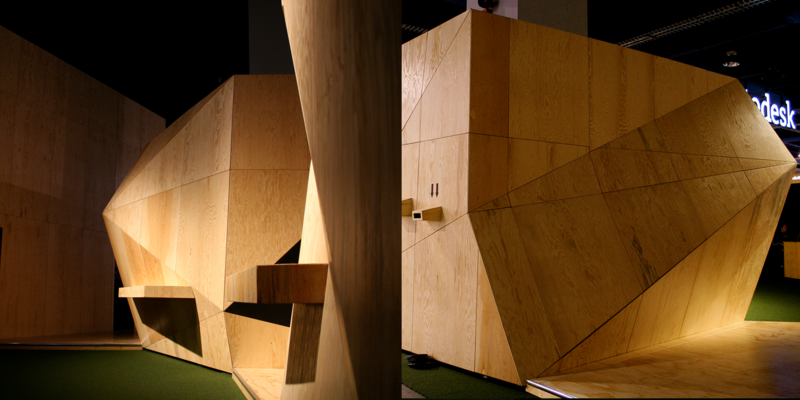 Our output was prolific, including identities, graphic systems, guidelines and assets as well as specific tradeshow projects, including this booth for the Media and Entertainment group. 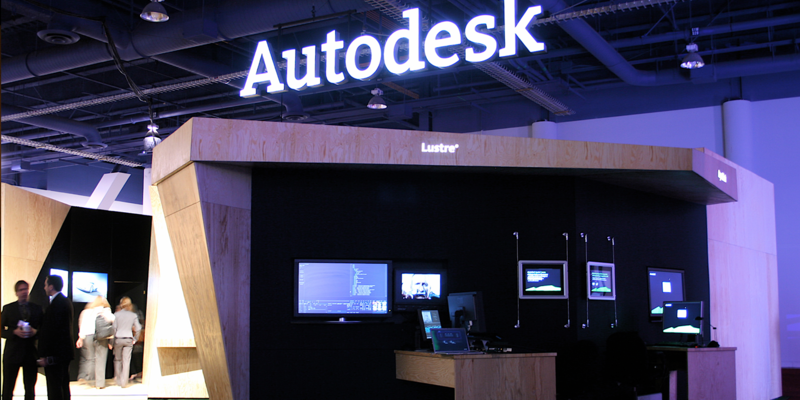 The Autodesk Media and Entertainment trade show presence changed from year to year. 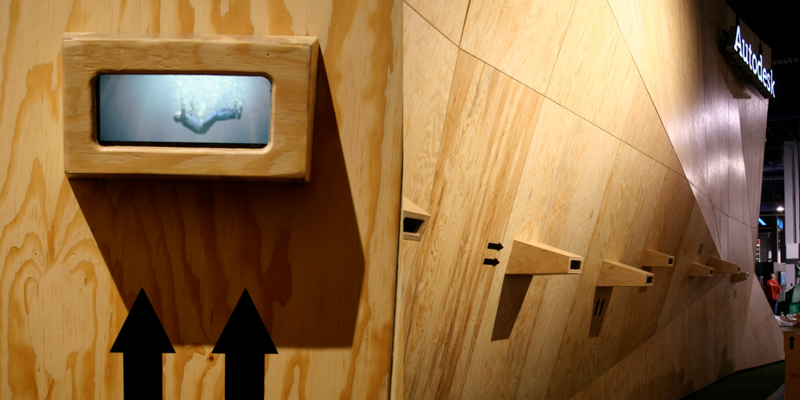 The following year, for example, to highlight the company’s commitment to sustainability, the booth was made entirely out of cardboard and recycled after the end of its use. 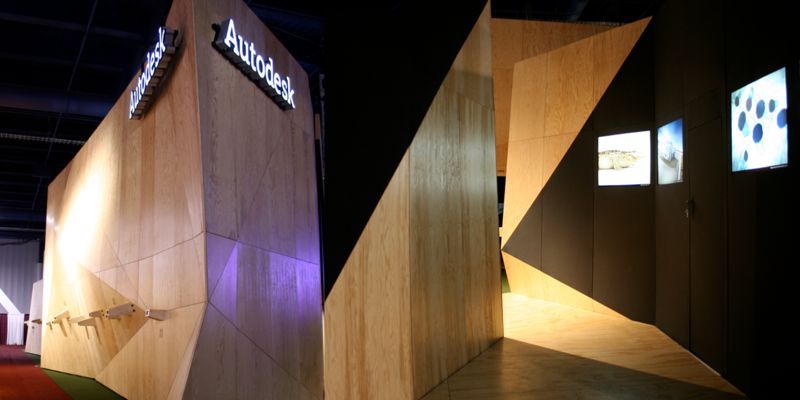 The booth became a show piece every year; attendees actually looked forward to seeing what would happen, increasing their engagement with the Autodesk brand.